When it comes to Frank Sinatra’s recordings, his success was no doubt a result of his song choices, his charisma, and his stunning vocal performances. But another factor not to be forgotten is the arrangement or instrumentation heard under Frank on those songs, which completed the package for the listener. Over the years, several musicians took part in arranging Frank’s recordings, but for most critics, one musician stands out. 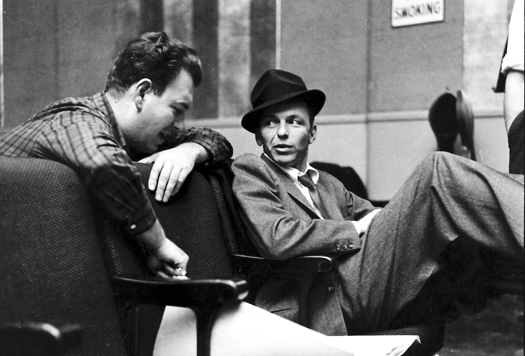 Like Frank, he was a New Jersey native, and his name was Nelson Riddle. Like Frank, Nelson also worked in the Tommy Dorsey orchestra, although it was after Frank had left the group. Nelson learned arranging, and went on to some early successes with Nat King Cole’s Mona Lisa and Too Young. Then, after joining the staff at Capitol Records, Nelson was paired with Frank for a recording session in April of 1953. One of the songs they recorded was Nelson’s arrangement of I’ve Got The World On A String. Frank was impressed, and it was the beginning of an historic collaboration, with Nelson arranging, and often conducting for Frank as well. Popular Sinatra songs arranged by Nelson Riddle include All The Way, Witchcraft, Young At Heart, The Second Time Around, Nancy, In The Wee Small Hours Of The Morning, Love and Marriage, Summer Wind, I’ve Got You Under My Skin, and Put Your Dreams Away, among many others. Nelson also did the movie scores for Sinatra films High Society, Pal Joey, Robin and The 7 Hoods, and the original Ocean’s 11, plus other movies including Paint Your Wagon, 1974’s The Great Gatsby, and TV’s Batman, The Untouchables and Route 66 plus many other shows. He also arranged music for artists including Dean Martin, Ella Fitzgerald, Judy Garland, and in later years Linda Ronstadt. Nelson passed away in 1985 at the age of 64. What was Nelson Riddle’s favorite project for Frank Sinatra? It was Frank’s dramatic concept album called Only The Lonely. 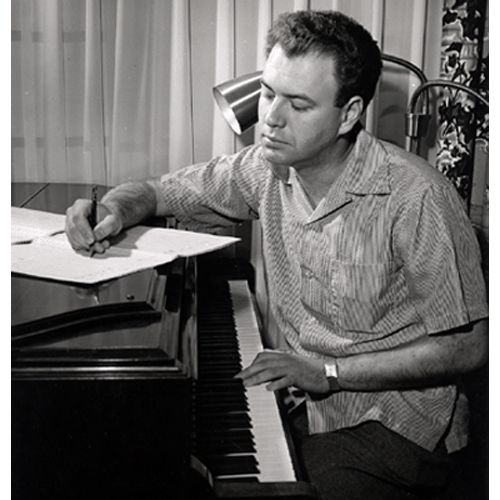 Learn more at Nelson Riddle’s website. The above article was presented by Monty Aidem, who as a TV writer, worked on two TV specials with Mr. Riddle.